Amazon.com description: Product Description: From Paul Mason, the award-winning Channel 4 presenter, Postcapitalism is a guide to our era of seismic economic change, and how we can build a more equal society. Over the past two centuries or so, capitalism has undergone continual change - economic cycles that lurch from boom to bust - and has always emerged transformed and strengthened. Surveying this turbulent history, Paul Mason wonders whether today we are on the brink of a change so big, so profound, that this time capitalism itself, the immensely complex system by which entire societies function, has reached its limits and is changing into something wholly new. At the heart of this change is information technology: a revolution that, as Mason shows, has the potential to reshape utterly our familiar notions of work, production and value; and to destroy an economy based on markets and private ownership - in fact, he contends, it is already doing so. Almost unnoticed, in the niches and hollows of the market system, whole swathes of economic life are changing.. Goods and services that no longer respond to the dictates of neoliberalism are appearing, from parallel currencies and time banks, to cooperatives and self-managed online spaces. Vast numbers of people are changing their behaviour, discovering new forms of ownership, lending and doing business that are distinct from, and contrary to, the current system of state-backed corporate capitalism. 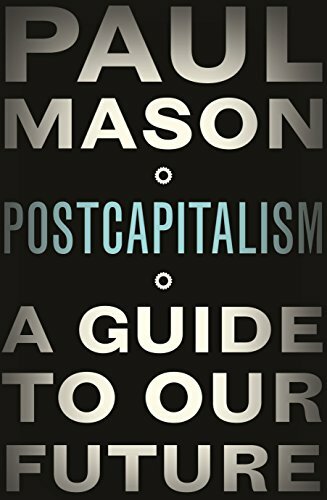 In this groundbreaking book Mason shows how, from the ashes of the recent financial crisis, we have the chance to create a more socially just and sustainable global economy. Moving beyond capitalism, he shows, is no longer a utopian dream. This is the first time in human history in which, equipped with an understanding of what is happening around us, we can predict and shape, rather than simply react to, seismic change.